A DSLR is definitely a priceless proud possession for anyone. The quality of the pics taken by it compared to the ones taken using normal cameras makes the investment definitely worth full. DSLR lovers carry it wherever they go – tours, travels, outings with friends, nature photography and many more. Sadly, not all the time, that they get that time to pack everything in the bag that comes along with the camera. They just put in their backpack and then carry on with their adventures. This may cause unwanted damage to the camera over a long run. If you are a proud owner of a mirrorless camera, and want to know how to take care of it in a proper way, move ahead in this mirrorless camera guidepost to know more in detail. 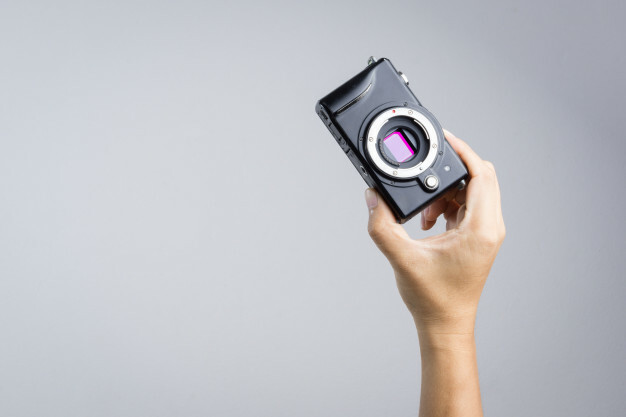 Often, it can happen that we tend to clean the camera lens with whatever is available to our hands – tissue paper, shirt, dress, towel or curtain cloth. This does worse than good to the camera. The lens of mirrorless camera is very sensitive and should be cleaned only with the products specified for its cleaning. If you are using anything other than these, it means you are killing the quality and life of your lens knowingly. Such cloths being coarse would damage camera lens coatings and cause scratches on them. Use a blower gently to clean the dirt on the backside of your camera and its lens. Sweat, dirt from surroundings, and other reasons causes accumulation of dirt on the camera body. To clean this, first take off the rubber eye cap and clean the viewfinder and LCD. Use a blower to clean the whole body; air coming from blower would dislodge all particles easily and makes your camera cleaning an easy task. You can also use the pen that you get exclusively with the kit. This is called LensPen and is effective in reaching out to places that a cloth or blower air may miss out on. Once you are done with cleaning the body, gently clean the inner parts by blowing air through a blower. Hold your camera facing the ground so that the dirt particles fall down easily when you blow the air. Taking care of a mirrorless camera is as important as enjoying the pics from it. You should know some do’s and don’ts when you are handling your mirrorless camera to ensure that it has the best life span and you do not end up in receiving unwanted surprises. You may have fantasised yourself holding your favourite DSLR camera in one hand always when you embark on your favourite trip or adventure. It may sound good to imagine this way, but what if the camera slips and falls from your hand! Isn’t it always wise to use be safe than to be sorry? Remember that cameras straps are there for a reason. So always put on those straps and sling the camera in your shoulder, loop it around your wrist in style or hang it loose around your neck. This would be definitely a style enhancer too! What say? If you have an interchangeable lens camera, you would probably have to keep changing the lens as and when a need arises. In this process, you may mishandle the sensor – by placing it somewhere on a rough surface, or it may fall down while you are trying to change the lens. Dirt and debris may also accumulate due to these reasons. To avoid this, always keep the lens mounted on the camera. Or keep it in the chamber of the camera bag specifically denoted for lens to protect it. If you keep the lens facing down in the bag with the cap on it, chances are high that sensor is in very safe hands. How does it feel if you get memory card full alert displayed when you are at the peak of your photography session? So, never underestimate the power of memory card when you are thinking about handling the mirrorless camera safely. Always format the memory card as and when you are done transferring the photos onto your laptop or system. Wipe it gently with microfiber cloth before you re-put into its slot on the camera. Occasionally, check for duplicate photos and unwanted photos and delete them to make space for new ones. Prefer branded memory cards to have a safer and happier DSLR experience. The battery of camera keeps discharging even when you are not using, as it happens with most other battery based devices. It would be wiser to charge the camera battery fully before you step out of home to enjoy that best mirrorless camera experience. Do not place camera in too hot or too cold locations; this would disturb battery’s health and life span. Use your common sense and think why the cap is given along with the camera – to protect the most important element of your mirrorless camera, the lens. So why not cap the lens each time you are not using it, even for a short span? Go ahead and do it- always. That camera bag which comes specifically with your DSLR has many design specifications and reasons behind its design. It is customised to protect your camera and the lens from external injuries and damages. So, next time instead of throwing your mirrorless camera into your back pack for your next journey, take some time and pack it neatly in the bag mentioned for it. This will make your camera smile too. Use only recommended products for cleaning your camera, lens and the body. For more ideas you can take the help of mirrorless camera reviews by Hot Rate, but here is an essential list of cleaning products meant for your mirrorless camera. Microfibre lens cloth: They are the number one choice for camera cleaning. The micro fibre cloth is cost effective and comfortable to carry. Only thing is you have to take care that is the cloth is absolutely dry before you use it on your camera. Blower:This is another cheaper alternative and works well for both interior and exterior cleaning of the camera. Sensor loupe:This sits over the lens mount and highlights the dust on the LED clearly. You can get a magnified view of the dust accumulated and cleaning becomes easy too. Sensor swab kit: This kit contains a fluid and a swab to deep clean the lens, the body and the sensor. Non-abrasive wipes: These are another sort of wipes specifically designed to clean electronic device screens. You can use them to clean camera lens and computers and mobile screens too.